I hope you're all feeling refreshed after a long weekend. I spent it with friends drinking cider and eating cake which is one of the best ways to spend a Bank Holiday don't you think? I also managed to watch Mulan, Hugo and Matilda on Saturday in my pajamas whilst eating ice lollies, 25 going on 5. 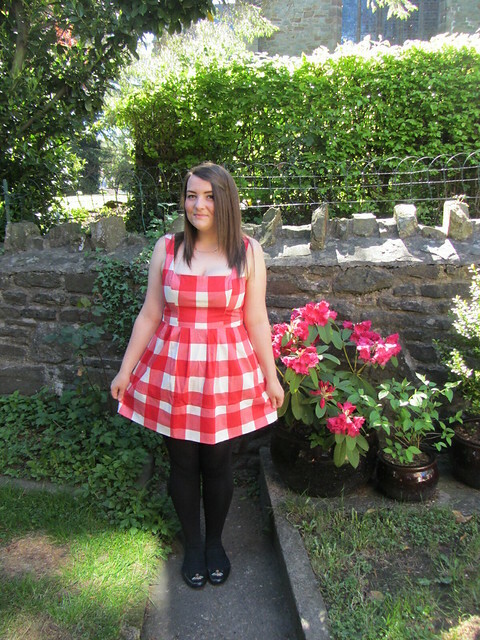 I wore my new Kelly Brook for New Look dress to the pub on Sunday and I love it! It's perfect with my denim jacket for a casual look and I can wear this with sandals in the summer or heels on a night out. I bought it when it was full price but it went down by £20 in the sale so I returned it and bought it at the cheaper price. The £20 covered my night at the pub on the weekend so well worth the effort returning it. I suppose the dress is a tad short and a bit cleavagey but you only live once so I'm not going to dwell on it too much because I do love this dress. It's what you expect from the Kelly Brook range really. I also have this playsuit form the collection in loads of different prints and I love that just as much. I took about 100 photos of this dress and none of them captured how it looked in the flesh and it didn't photograph very well. Around 80+ of the photos looked like this one... Anyone want to be my blog photographer? Are you a fan of the Kelly Brook range at New Look? know I appreciate your weblog and the info you supply. Their is some greatinfo that have been written right here. Exactly where can i go to subscribe to the website? oooh, I love gingham!! That dress is super cute on you. I just had a quick peek at the rest of the Kelly Brook range and have spied a pin-up bikini I'm a bit in love with. 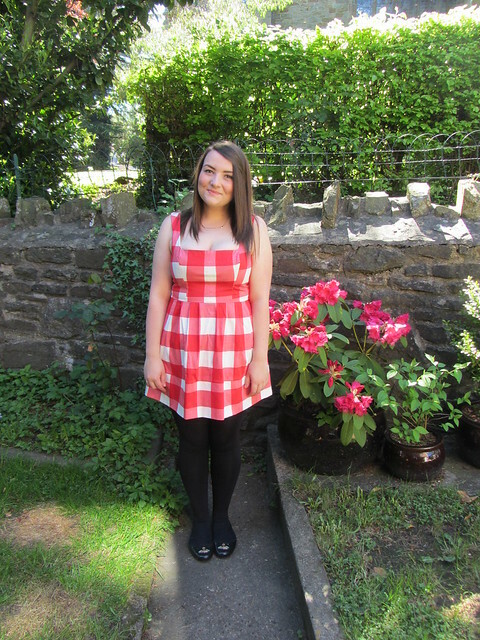 Its a little bit short on me too, and I'm only 5'2! 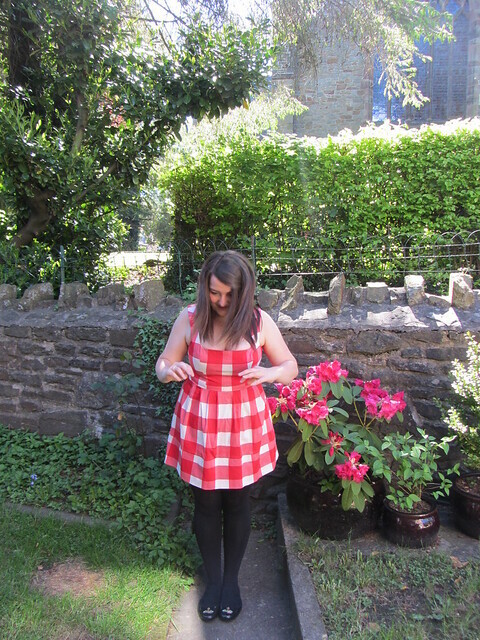 This is such a perfect dress for the inbetween weather we've been having - so cheerful and lovely!! The Kelly Brook range is so lovely this time, have been tempted by a couple of pieces. Roll on payday! That dress is super stunning on you! love the retro pattern....I'll definitely take a look at her range after seeing this post!